NetSupport Radio host Russell Prue had a very busy day 3 at Bett 2019, hosting and interviewing a range of Bett visitors as well as supporting the students from Westwood with Iford primary school in hosting their very own school radio show live from the NetSupport Stand. 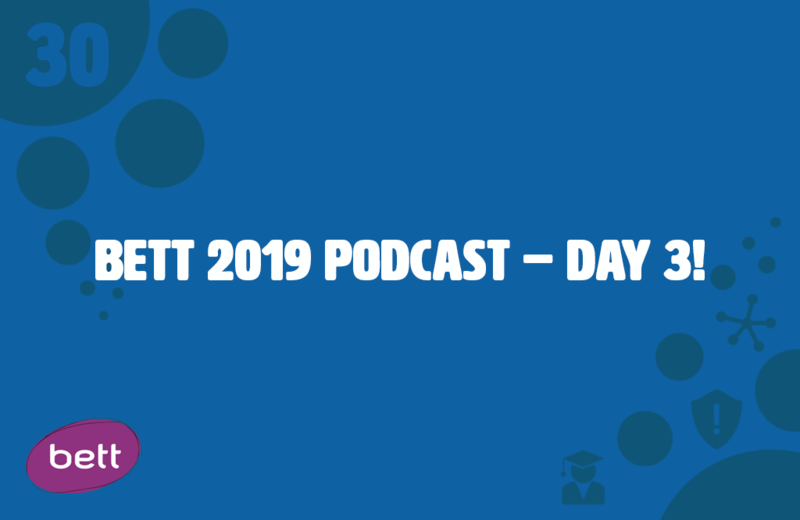 Russell’s first guest of the show was our very own Al Kingsley, reflecting on the previous two days at Bett and discussing the variety of visitors to the NetSupport stand so far. Al said, “It’s lovely to have people who can both challenge and give you fresh ideas to develop”. Russell also had a chat with Paul Tullock , Adam Chase and Julian Wood who all presented on the NetSupport Stand throughout the day. Milena Piasecka gave a short interview about her product Shapes 3D, a series of Geometry app that use Augmented Reality, and Danny Ross, Vice principal at Springwell Special Academy, about how they use tech to engage and create in the classroom. Priya Lakhani OBE, founder of Century Tech, and Billy Downie, Headteacher at Streetly Academy spoke to Russell about using Artificial Intelligence in schools and how Streetly Academy have used Century to empower both students and teachers and improve 50% of students grades. Students from Streetly Academy also spent the day at Bett operating a live classroom on the Century Tech stand. Finally, to round off the show Russell had a catch up with Al Kingsley at the end of the day. Summing up Bett day 3 Russell and Al agreed it had been the busiest day of the week but had still felt like a fun, playful day with particular mention going to the many student visitors to the NetSupport stand.